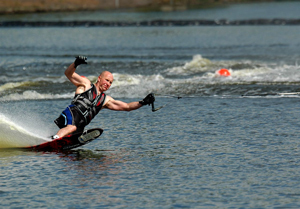 The wake in this image shows that the water-skier, Irish champion Rodney Watson, is moving in a curved path (high-res version). The tension in the tow line and the force of the water on his skis provide the centripetal (inward) acceleration to produce this curve. To find out how the centripetal acceleration depends on the radius and the period for circular motion, visit this Circular Motion Simulation. In the PhET applet, Wave on a String, you can drag the end of the string up and down to simulate wave motion. To learn more, visit Physic 2000's Standing Waves and Resonance. If you liked this activity, you may also be interested in HyperPhysics: Color Force. 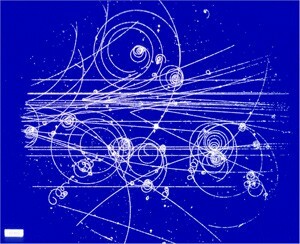 These tracks (high-res version) were made by charged particles in a bubble chamber (a technology used in the 1970s). A magnetic field perpendicular to the image produces a force that curves the orbits of charged particles. 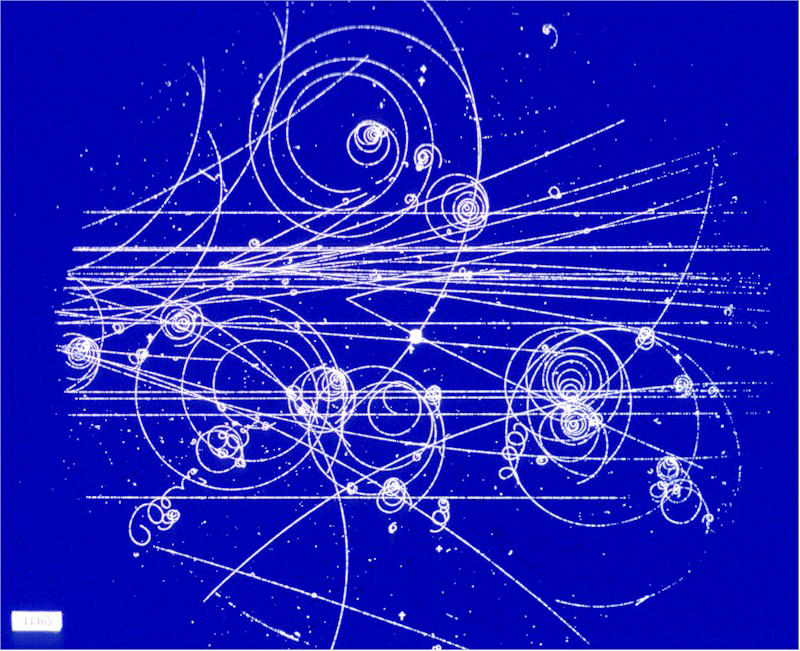 See Tracks in a hydrogen bubble chamber for information about this image, and to find out more, visit CERN's Introduction to the BC Site.